I realize scale models of any kind; unique pieces and small series of hand-made ships, yachts and sail boats, dioramas and models with any subject. I counsel companies in all sectors, studies of design and architecture. I create extraordinary boat and ship reproductions of every kind, using several valuable materials variable by the particular, for example: wood, glass-reinforced plastic, resin, brass, copper, etc. I execute projects on plan in several scales, according to the necessities and demands of the customer (private or shipyards), based on plan or picture for the details reproduction. 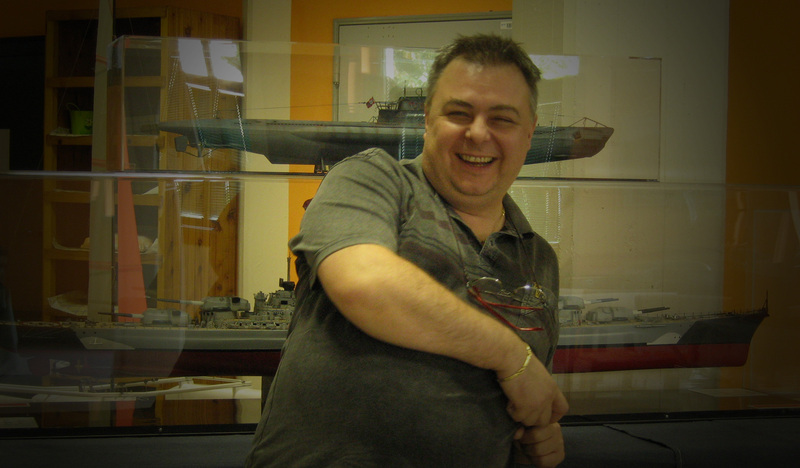 Luca Pini has been interested in model ships since when he was attending elementary school, and he bought his first model, the 12 cm-long plastic model of the Cutty Sark. Such a long time has passed since then. His technique improved through the years, and so did the quality of his ships, both in static and in dynamic remote controlled models: ships, planes, tanks, plastics and dioramas. I develop valuable assembly kits about the most famous WWII battleships. My ships are built with the best materials, full accessories like: rudders, engines and propellers. They are high quality models and only on demand we realize your complete scale models. I offer any assembly kit built on demand, also the most difficult.